More than 150 media from at least five continents descended on Los Angeles in recent days for the International Olympic Committee's 2024 Evaluation Commission meetings opening today and continuing through Friday. The IOC will hear presentations and pose questions to guide the selection of the 2024 summer Games host city, with their vote set to take place in Lima, Peru, this September. 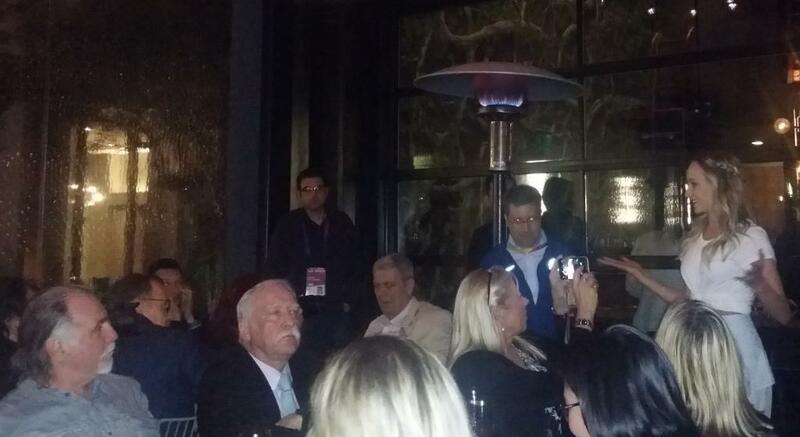 Unofficial media hospitality events kicked off Tuesday as the LA2024 Olympic bid team signed in arriving media at the press room at LA Live, the downtown entertainment district inclusive of Staples Center and the GRAMMY Museum. 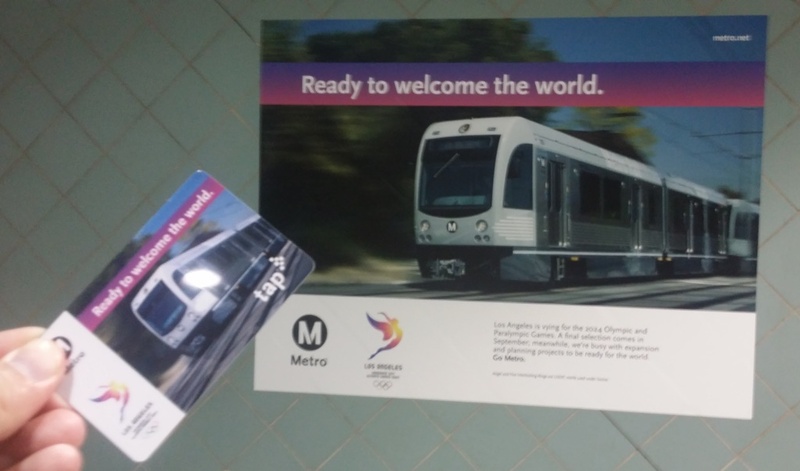 About two dozen early arrivals joined LA2024's media relations team and other officials for an "authentic Angelino commute" including a short downtown walk and ride on the city's expanding Metro system. Disembarking at the Hollywood station, attendees enjoyed a green room experience and mini-concert during the taping of the May 9 episode of "Jimmy Kimmel Live." 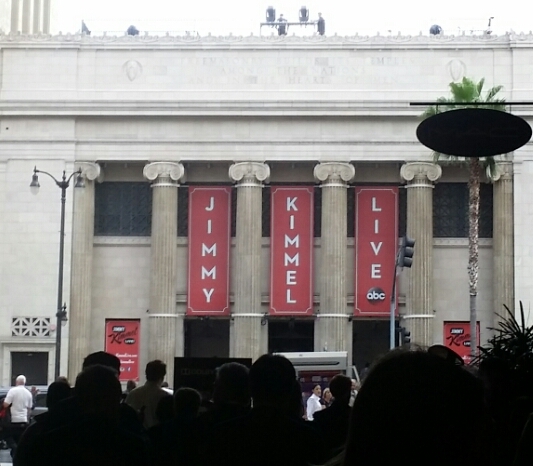 Kimmel took time between segments to visit with media and answer a few questions about his take on Los Angeles' bid to host the city's third Olympiad following 1932 and 1984. When asked whether and which Olympiads he had personally experiences, Kimmel answered that he attended the Games in Atlanta and London and enjoyed both tremendously. The late night comedian also joked with international reporters from Inside The Games regarding the outlet's neon green and hot pink colors on a staff writer's necktie. 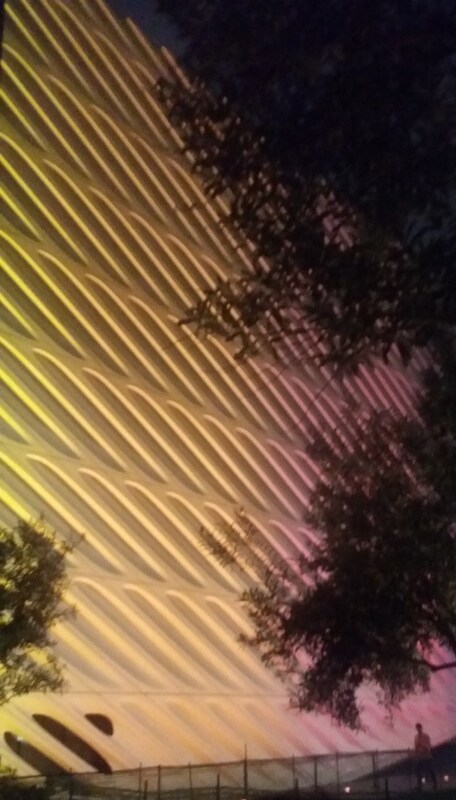 The media entourage returned to downtown for a walk beside the iconic LA City Hall, Los Angeles Times offices, Disney Theater and The Broad museum, each lit up in the soft pink and purple colors of the LA2024 "Follow The Sun" logo. Dinner at one of the city's newest and highly rated restaurants -- Otium -- included eight exquisite courses served from an open kitchen reminiscent of the prep area in Peter Greenaway's film "The Cook, The Thief, His Wife and Her Lover" (I even spotted a young and blonde sous chef grating carrots to top the evening's dessert, much like movie's young cook's assistant). Olympic gymnastics champion Nastia Liukin spoke briefly to provide a five-ringed welcome. Today media will attend an opening session before a full day of venue tours. I'll post photos and updates later today as the bus is loading.